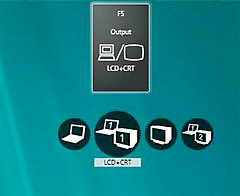 The Toshiba supports a limited range of screen sizes on its external monitor port. Those I have discovered are: 640 x 480; 800 x 600; 1024 x 768; 1280 x 800; 1280 x 1024; and 1600 x 1200. 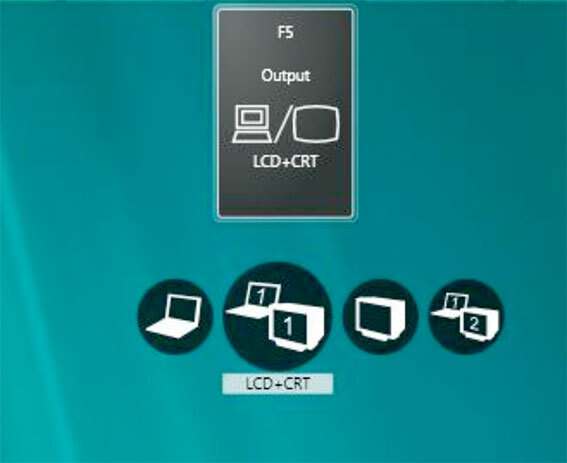 Therefore if you set the Toshiba into mirroring mode, the Canon chooses its next lower available input mode which is 1024 x 768. It maps the central part of the screen to the projector, and then rescales it to give a very sharp representation of XGA at full SXGA+ resolution. I have checked this out with the Projector set-up routine included in DiCentra, and find the projection is flawless. So if we set up a DiCentra competition as XGA, and check the projector with the setup routine we should get a superb show. Plug the Canon SX60 to the mains, remove the lens cap, and press the red power button on the top. In about 30 seconds you should get a blue screen. Connect the DVI-VGA monitor cable to the DVI socket on the SX60. Connect the VGA end of the cable to the Toshiba VGA output socket at left-side rear. 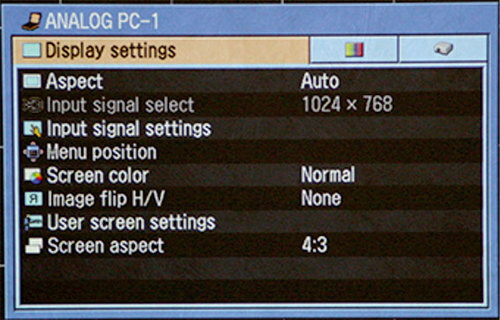 Use the zoom control on the SX60 or the remote to fit the image to the screen, and adjust the position of the image up and down with the drop-down foot, if necessary. Use the Auto Set button next to the power button to set up the projector. Follow the on-screen instructions. You should now see the desktop on the both screens. Use DiCentra’s Projector Setup routine Competition>Set up Projector to inspect the image quality. Check the focus carefully, using the Focus control on the remote. The up and down arrows give coarse adjustment, and then the left and right ones allow fine adjustment, with single taps. You should be able to see the individual pixels of text in the XGA image if you are close up to the screen. The default Canon settings seem to give very good tonal range in the small hall with little compression at either end. The Canon Menu Settings are shown below. 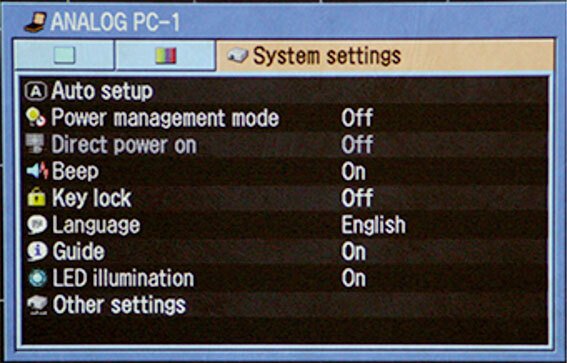 First we have Display Settings. Note that the command Input Signal Select is greyed out because of the mapping that the Canon has done by itself. You’ll find that the next item is also a dead end, for the same reason. 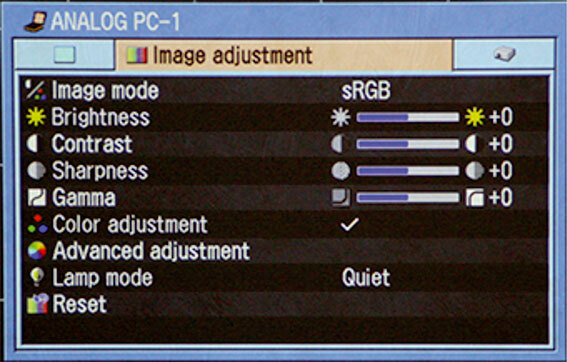 In this second screen Image Adjustment you want sRGB as the Image Mode. To be enhanced as we learn more.